Did you know? Most Magnolias are valued for their showy, fragrant flowers, large glossy leaves and striking fruit. Southern Magnolia (Magnolia grandiflora) was officially designated as the Mississippi State Flower in 1952. Magnolias trees have large fragrant white flowers and evergreen leaves that make them one of the most splendid of forest trees and a very popular ornamental plant. Magnolia is seen in the Coastal Plains of Southeastern United States. Magnolia is a large genus of about 210 flowering plant species in the subfamily Magnolioideae of the family Magnoliaceae. The genus Magnolia is divided into subgenus Magnolia and Yuvalia. Magnolia flowers have a pleasant fragrance (musty smells to sweet tropical fruit smells) and appear throughout the spring and summer. The Magnolia flowers do not have true petals and sepals but are composed of petal-like tepals. 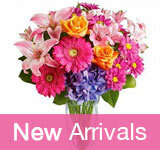 Magnolia is also called as evergreen Magnolia, bull-bay, big-laurel, or large-flower magnolia. Magnolia blossoms grow at the end of the tree's branches. Magnolia flowers are saucer shaped and are found singly. Magnolia is a characteristically showy, fragrant flower that is white, pink, purple, green, or yellow. The Magnolia flowers are followed by showy red or pink fruits displaying red, orange, or pink seeds, each of which hangs from the fruit by a thread-like strand. Magnolias bloom from April to June, after the completion of their 7 th year of growth. The pollen is high in protein and the beetles use it for food, as the Magnolia flowers attract pollinaters with fragrant, sugary secretions. Magnolia tree is a pyramidal crown, 60 to 80 feet in height with a spread of about 30 to 50 feet. Bark of Magnolia is brown to gray, thin, smooth/lenticellate when young, later with close plates or scales. Magnolia fruits are reddish-brown conelike structures, 2-4 in (5-10 cm) long, with bright red kidney shaped seeds maturing in October to November. Magnolia leaf is alternate, simple, pinnately veined and evergreen, 5 to 8 inches long, oval in shape with an entire margin. Very waxy/shiny above, and reddish tomentose below. 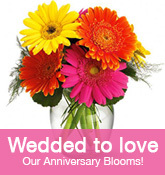 There are many online florists who deliver flowers to Mississippi. 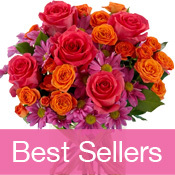 You can send flowers, plants of your choice to your loved ones living in Mississippi or from Mississippi to other locations across the United States of America through these popular Mississippi Online Florists. The Mississippi state's Capital City is Jackson. Mississippi was admitted into statehood on December 10, 1817. Mississippi State Flag was adopted on February 7, 1894. Mississippi's nickname is Magnolia State. Total land area of Mississippi state is 46,907 sq mi. Mississippi state is located between 32.320N, 090.207W of the U.S.
Mississippi's economy depends upon Agriculture: Cotton, poultry, cattle, catfish, soybeans, dairy products, rice. Industry: Apparel, furniture, lumber and wood products, food processing, electrical machinery, transportation equipment. Major Industries in Mississippi are farming (cotton, corn, soybeans, rice), oil, textiles, electronic equipment, transportation equipment, fishing. Bordering States of Mississippi are Alabama, Arkansas, Louisiana, Tennessee. The state of Mississippi is named after the Mississippi River. Historical sites in Mississippi include Old Spanish Fort, the oldest house on the Mississippi River, near Pascagoula, as well as Vicksburg National Military Park, Brices Cross Roads National Battlefield Site, and Tupelo National Battlefield. Points of interest in Mississippi are Bienville, Delta, Desoto, Holly Springs, Homochitto, and Tombigbee Nation Forests.